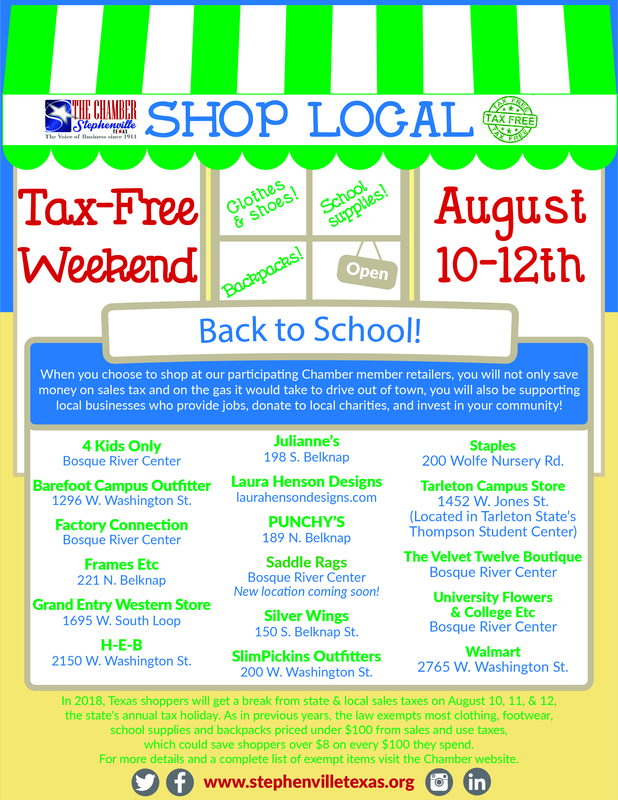 During this annual Texas sales tax holiday, you can buy most clothing, footwear, school supplies and backpacks (sold for less than $100) tax free at participating retailers. For a list of all qualifying and non-qualifying items, click here! Check out these participating Chamber Member retailers!